Executives and personnel of Bureau of General Education showed at sacrifice and merit-making ceremonies for Her Majesty Queen Sunandakumariratana. Home > News > News > Executives and personnel of Bureau of General Education showed at sacrifice and merit-making ceremonies for Her Majesty Queen Sunandakumariratana. 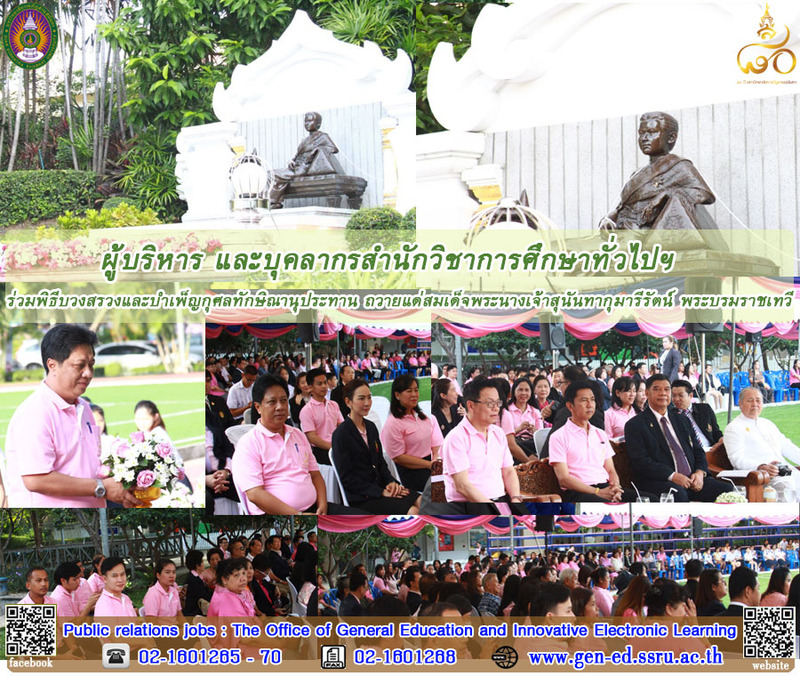 November 10th, 2017 Executives and personnel of Bureau of General Education and Electronics Educational Innovation showed at sacrifice and merit-making ceremonies for Her Majesty Queen Sunandakumariratana on the occasion of her birthday at The Queen monument, Suan Sunandha Rajabhat University.